Have friends or relatives visiting your Factoria neighborhood of Bellevue? It would be a shame for any of them to miss the four great shops below. There is something for everyone in Factoria, from good food to fashion to recreation. It is impossible to include all of the reasons why Factoria is an amazing place to live, but these four perfect places may open your eyes to what makes this sector of Bellevue so stellar. Great for breakfast all the way to dessert. Suprema’s is best known for their friendly and attentive owner – walking into the deli for the first time is like coming home from a business trip. When one of the staff asks how you are doing, they genuinely wish to know. Everyone has smiles on their faces making atmosphere familiar and welcoming. It is absolutely crucial to try the ribs, which come with sauce but are better without. The rich flavor is a testament to the expertise of the chef and the deli’s commitment to providing a wonderful experience for all who walk in the door. For most, a trip to a luxurious golf course is not on the docket for every weekend, but if there is a single golfer’s bone in your body, the Newcastle golf club is a place you must visit at least once. For dinner, there is a choice of three exquisite restaurants. For scotch lovers, there is the Wooly Toad. Try Turnberry’s for the perfect bite on the move, and Calcutta Grill is the destination of choice for settling in after a day of golf. By the way, the water sparkles beneath the rolling hills – this is a truly majestic place to spend the day. Here is one unforgettable place for the sushi fans out there.. Musashi’s is proud to serve only the finest cuts of nigiri – we swear the fish is so fresh it makes angels cry. The difference in quality is easy to see, as the sushi served in most places is duller in color and significantly more bland in taste. If raw sushi is not your thing, there are rice dishes and soups to enjoy, too. There may not be anything surprising about these alternative items, but they are scrumptious in their own right. For the true sushi lover, however, there is no way to go wrong. For a little window shopping, and maybe a tiny bit of real shopping, it is hard to beat Simply Chic. While sporting the prices that you may see at Target, the clothing selected for this boutique is fashionable and unique in a way that generic department store clothes can never be. Browsing through the most carefully selected item brings a certain joy, although it is even more fun to purchase and bring their unique home. 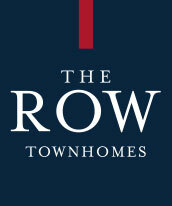 Bonus: The boutique is within walking distance of The Row Townhomes.